Here’s a great opportunity to see one of the best single family home values in Braemar. 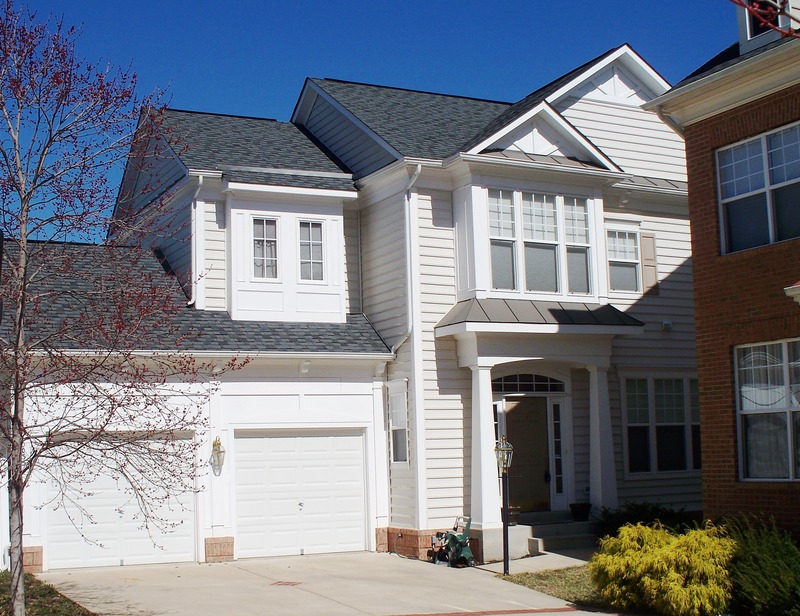 It’s a Courtyard home located at 10033 Pentland Hills Way in Bristow and is listed for $327,500. It’s got a fantastic contemporary floor plan with three large bedrooms, one of which is the Master Suite with his/hers closets and a luxury bathroom. 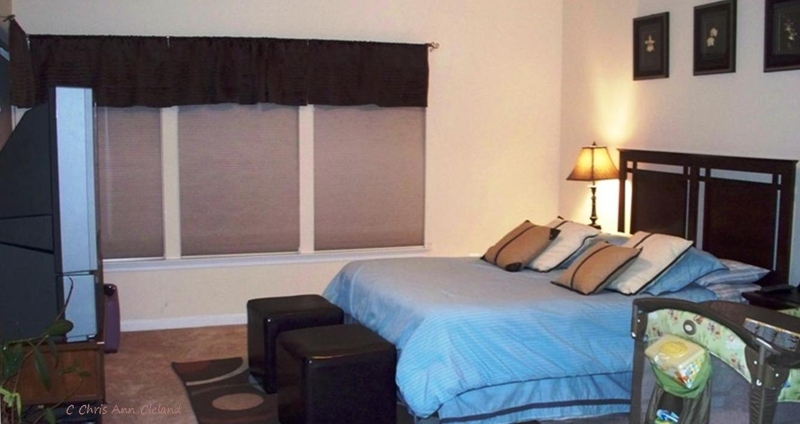 The laundry room is also on the bedroom level for convenience. As stated, the main level floor plan is contemporary. Formal living and dining rooms are at an angle to another another. The family room is open to the kitchen, the latter sporting hardwood floors, cherry cabinets and granite counters. Family room does have a gas fireplace you will enjoy in the colder months. The basement is finished to include a large recreation area and full bathroom. There is one unfinished room that could be a fourth bedroom or den, whatever you like. It’s yours to finish as you please. Walk out exit leads to a brick walkway and one of two composite decks. The deck above is located off the family room/kitchen area. There is a two car attached, front entry garage. And there is very little yard to maintain. It’s a dream come true for anyone who wants to have a detached home with very little yard to maintain. HOA dues include basic cable and internet, along with the other community amenities like the two siwmming pools, Clareybrook Park and Braemar Park. Call Khiri Samay for directions to the home. Khiri can be reached at 703-786-7476. The reason that a lot of the residents in Braemar chose this particular community was the preservation of green spaces and tree save areas. While these areas do bring an aesthetically pleasing quality to our neighborhood, it is also home to wildlife, some of which you may not expect. We’ve all seen deer, bunnies, raccoons, turtles and the occasional opossum. 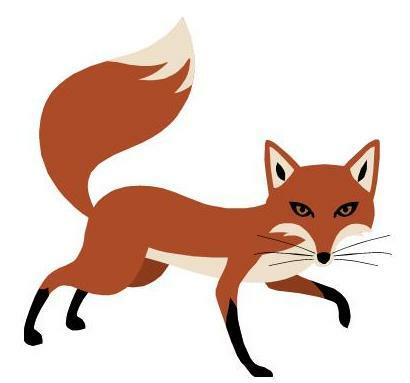 What you may not have noticed are snakes, fox and coyotes. There have been sightings of all of these, particularly in the vicinity of Tartan Hills Parkway. Calls to animal control have been made by various residents and the results are the same. The County and State officials will not come to trap wildlife unless it is thought to be injured or rabid. And to date, the descriptions of the animals’ activities have not been considered dangerous by our County officials. Signs of a rabid animal would include excessive drooling, wandering aimlessly or off balance, and eating items like wood that they wouldn’t normally eat. With the exception of raccoons that can carry rabies and not be infected, rabid animals will generally die of the illness in a matter of days once they become symptomatic. Rabid animals should be reported to the Animal Warden, who can be reached at Prince William County’s non-emergency dispatch at 703-792-6500. Parents of infants and owners of small dogs and cats should be aware of the presence of the coyote in our neighborhood. It may not live here, as coyotes do travel great distances to hunt, but if it’s making its way through, a baby or small animal could be in danger. The fox seems to have taken up residence in the woods west of Tartan Hills Parkway. And some residents have stumbled on it while out for recreational walks or runs. It is unlikely to be a threat to anyone, but may startle you. Just remember, this fox is likely more afraid of you than you are of it. Snakes are another creature attracted to these wooded areas. There have been copperhead snake sightings in our neighborhood before, and those can be deadly. Poisonous snakes have pointed heads, while those that are not have more rounded heads. Regardless of whether the snake is thought to be poisonous or not, leave them alone. No matter the wildlife you encounter, it is important to remember to stay calm and to not approach them. Chances are, no matter what it is you’ve stumbled on, from a snake to a coyote, it is more afraid of you than you are of it. If you are attacked or bitten, depending on the severity, it is advised to call 9-1-1 or seek medical help as quickly as possible. This article will appear in the July/August edition of the Bagpiper. This Braemar Courtyard Home located at 10033 Pentland Hills is a great find. With three bedrooms and three and a half bathrooms, it’s not too small and not too big. The main level is a contemporary spin on the traditional colonial that we see so much of in Braemar. 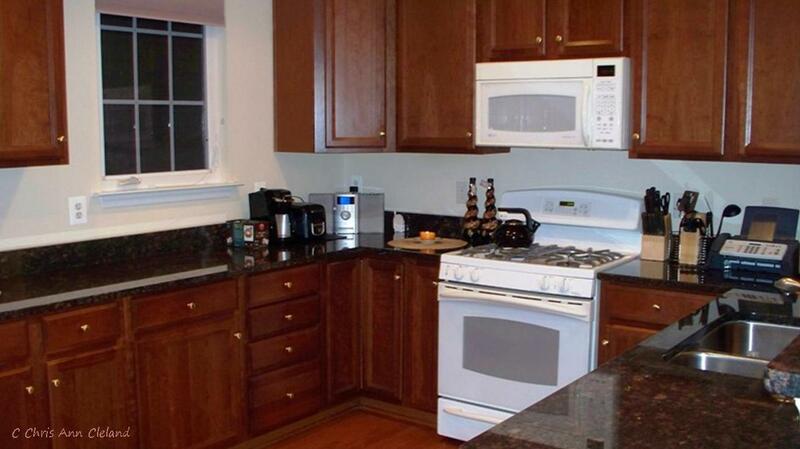 The kitchen is upgraded with granite counters and hardwood floors and overlooks the family room with gas fireplace. In this area is also where you find the exit to the composite deck. And there’s even another deck below that you find off of a brick walkway from the walk out basement. 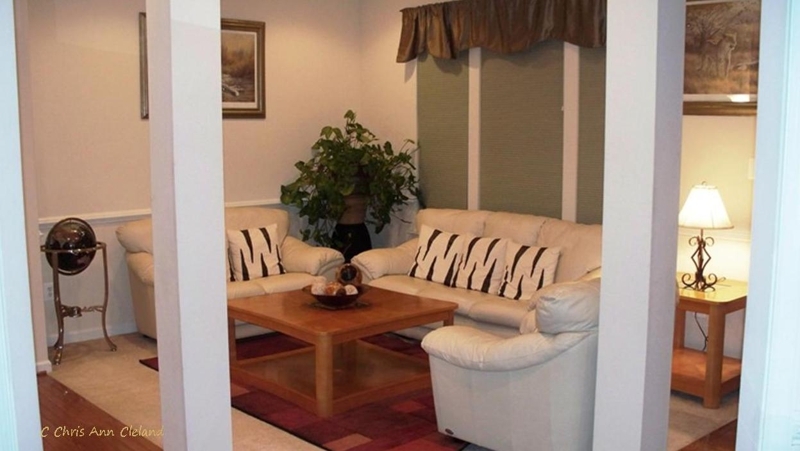 Of course there are formal living and dining rooms on the main level as well. The Master Suite is grand and features his/hers walk-in closets and a luxury bath. The remaining two bedrooms are much larger than you’d find in competing single family homes or townhouses in this price range. 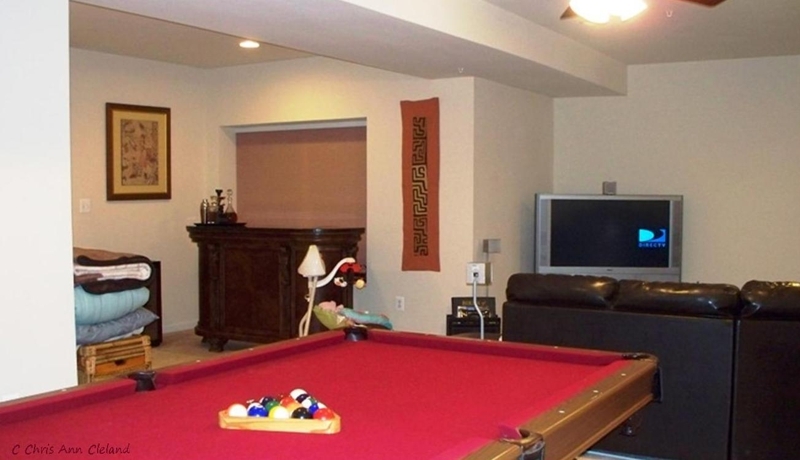 The basement is finished with plenty of recreation space and that third full bathroom. There’s an unfinished room that could be a n additional bedroom or den, you choose and finish it how you like. Laundry room is upstairs for convience, but you’ll need to bring your own washer and dryer. Another convenience is the attached two car garage. 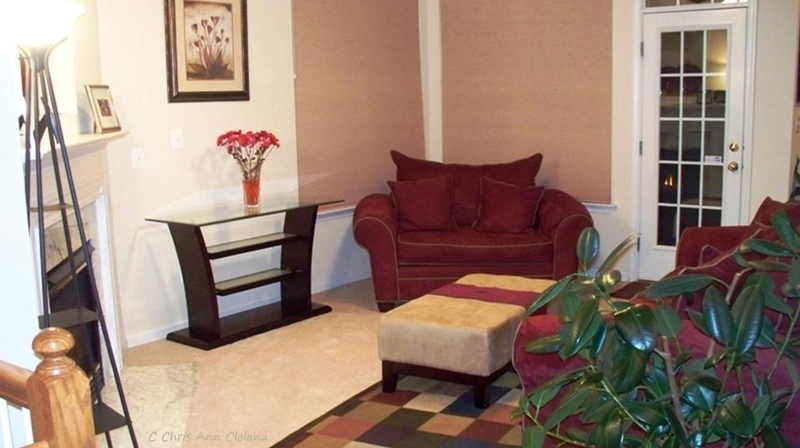 The overall community of Braemar has many amenities. Two outdoor swimming pools, mutiple tennis and basketball courts, playgrounds and walking trails. Included in the HOA dues for this home, in addition to the amenities, trash removal, snow removal and street maintenance, is basic cable and internet. This is a great home. For your tour, call me.